 You can see your daily exercise info with tips and challenges. 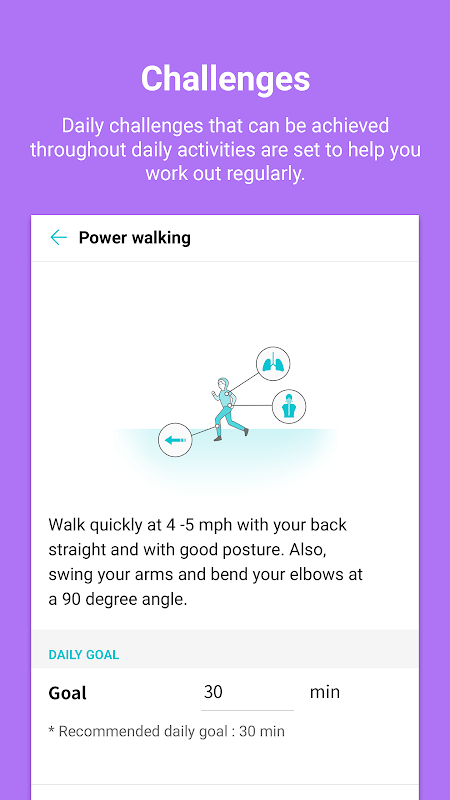 You can see personalized tips above the exercise circle. Tips are shown according to your lifestyle and exercise patterns. Accessory Manage your fitness activities, track your weight and monitor your diet using LG Smart Watch and Tone Active. 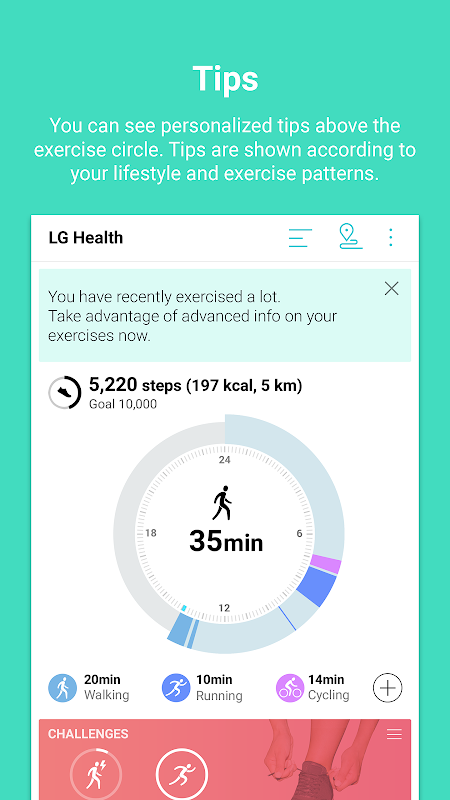 Conditions The App supports all LG smartphones and includes Non-LG Android smartphones as well. Tablets and some mobile devices may not be supported. Some functions may not be available based on regions/service providers/devices. 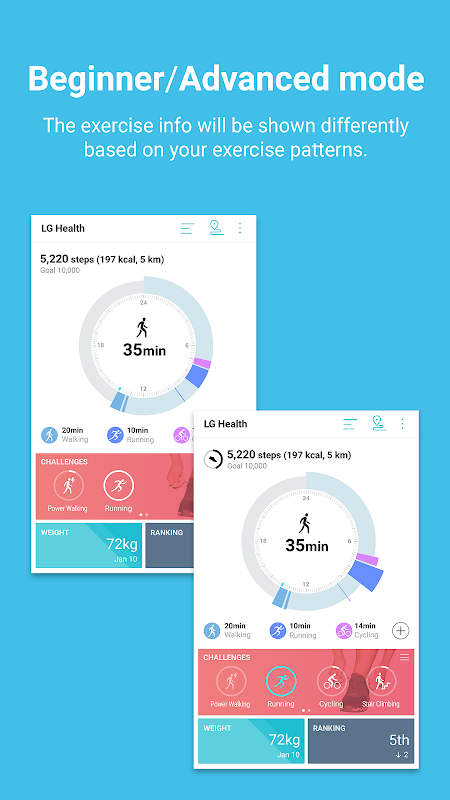 LG Health requires Android OS 4.4 or above. Please note that LG Health is intended for fitness and wellness purposes only and is not intended for use in the diagnosis of disease or other conditions, or in the cure, mitigation, treatment, or prevention of disease.  Website: LG Health | LG Electronics, Inc.
 Is LG Health yours? Claim it!